YARMOUTH PORT, Mass. --- Documents released last week by the International Whaling Commission (IWC) confirm the United States&apos; leadership in negotiations to undo the global moratorium on commercial whaling and extend unprecedented authorization to the Government of Japan to kill whales off its coastline and in international waters. "The plan released today is a bad deal for whales and international efforts to protect them," said Patrick Ramage, IFAW Global Whale Program Director. 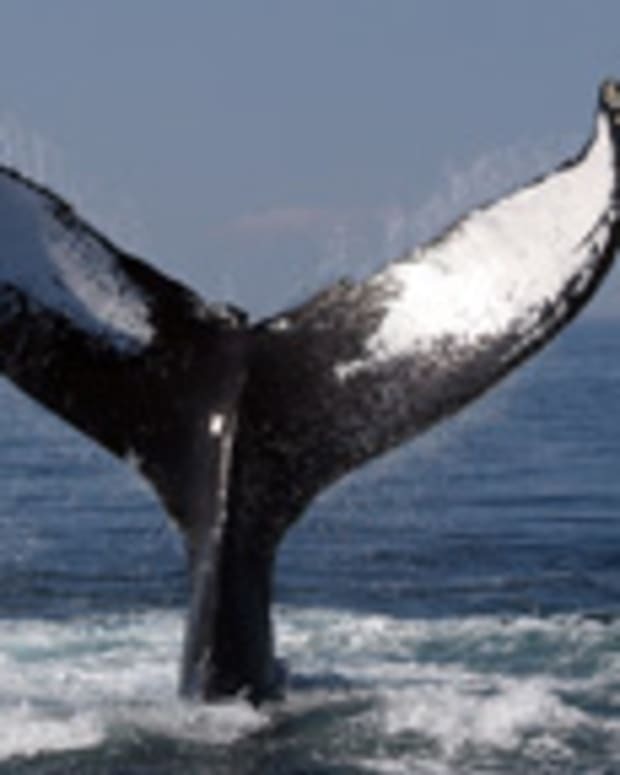 "It would lift the commercial whaling moratorium; give new rights to the Government of Japan to kill protected whales, and permit illegal, high-seas whaling to continue. Rather than compromising hard-won conservation measures and finding ways for whaling to expand, the IWC and its member governments should be negotiating the terms under which Japan, Norway and Iceland will end their commercial whaling activities." Longtime Bush Administration appointee Dr. William Hogarth currently serves as U.S. Commissioner and Chairman of the 84-nation International Whaling Commission. In early 2008, Dr. Hogarth and the Japanese Vice-Chair initiated a series of closed-door meetings and secret discussions designed to forge a compromise with Japan, one of only three IWC member nations still whaling. A "small working group" of IWC member countries met behind closed doors in St. Pete Beach, Florida in September and again in Cambridge, England in early December 2008. Dr. Hogarth reconvened a drafting group of countries this past weekend in Hawaii to fine-tune the compromise deal released by the IWC today. Text drafted by U.S., Japanese and other commissioners engaged in the IWC "Small Working Group" process contemplates legitimizing Japan&apos;s ongoing scientific whaling in international waters -- including an internationally recognized whale sanctuary -- as well as extending long-sought authorization to Japan to kill protected whales in its coastal waters. "This is not the first issue on the new Obama administration&apos;s agenda, but it is perhaps one of the most fundamental and fastest to fix," Ramage said. "The time has come to end the drift in U.S. policy on whaling and renew America&apos;s conservation leadership." Since the global ban on commercial whaling in 1986, Japan has claimed its whaling operations are conducted for scientific research purposes. Japan has killed more than 15,000 whales since the whaling ban and has threatened to begin killing humpback whales if the IWC does not bow to its wishes and approve commercial whaling.